Normally I take shots of pro models for Xscape fashion/sports shoots so it was great this time to get some 9-5 retail dudes in front of the camera as these guys are the Xperts and can offer REAL advice! 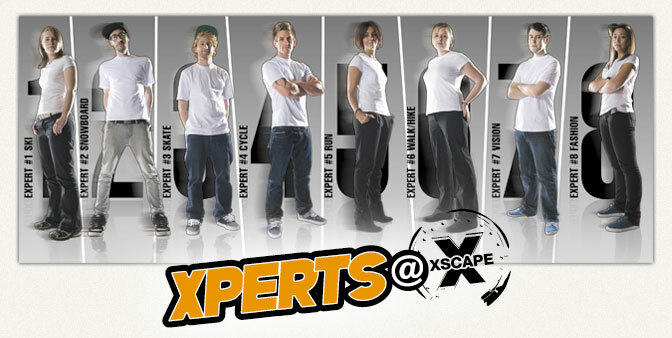 The shots can be seen on the Xscape web site here. If you’re looking for specialist outdoor clothing then Xscape is the place for you, all our retailers have in-house X-perts in Skiing, Snowboarding, Cycling, Skate-boarding, Vision, Climbing, Hiking and more. Their knowledge will help you make the right purchase for your outdoor pursuit.